Police are appealing to caravan owners in Lancashire to be vigilant following a series of burglaries. In the past three weeks reports of thefts from caravans have increased, with two parks in the Clitheroe and Barnoldswick areas targeted. 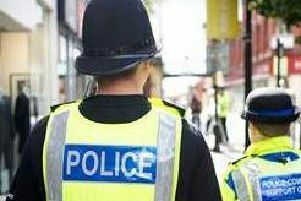 Officers are investigating 19 burglaries, with similar incidents reported in North Yorkshire. Sgt Craig Leech, of Lancashire Police, said: “Since the darker nights have crept in, a number of caravan parks in the Ribble Valley and wider areas of rural Lancashire have been targeted by thieves. “Many parks are quieter this time of year with residents moving out and the caravans being left unoccupied for longer periods of time. “As such they are vulnerable with thieves forcing door and window locks, entering and stealing items such as televisions, laptops, other electric items and alcohol. “Police are investigating these as a pattern of burglaries but urge owners of such caravans to be vigilant reporting any suspicious activity to the police, taking vehicle registration numbers, as criminals often visit caravan parks in the day-time prior to targeting them during the night. “Owners could also consider checking on their caravans more often through winter months and removing valuable items from view in order to deter criminals.